As many of you know, January is Hot Tea Month. I'm well equipped to celebrate my love of tea, thanks to my family and friends' tea-lightful Christmas gifts! My tea haul has everything: herbal teas, green teas, and black teas in loose leaf and teabags. The teas will certainly taste even more delicious in this stunning Royal Albert teacup! 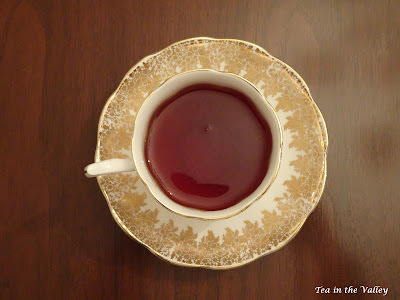 The inaugural drink on National Hot Tea Day (Jan 12): Home for the Holidays Black Tea by For Tea's Sake. I also received this pretty yellow rose teacup--perfect for springtime! A fun flamingo tumbler for drinking tea on the go (or at the office). Now it's time to announce the winner of my 4-year blogiversary! Babe, please e-mail me your mailing address (click on my profile for my e-mail) and I will ship your prizes you. Thank you everyone for celebrating my blogiversary with me! Hi Margie! You did indeed make quite the haul for Christmas. It's lovely when your family and friends know what you love and gift you accordingly. Your Royal Albert teacup and saucer is gorgeous! Tea does taste better in a china cup! Congrats to your winner! So glad you joined the world of blogging four years ago. Have a fabulous week! Thanks so much for choosing me!!! 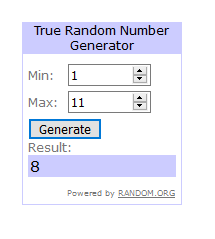 Congrats to the winner of your giveaway! I've been away from my computer the last few weeks so I'm just getting back to visiting all my favourite bloggers, including yourself. What a gorgeous gold china teacup! And I do really like your 'Spring' cup. Something to look forward as the days approach, drinking tea in that pretty cup. Wishing you a beautiful day, Margie! 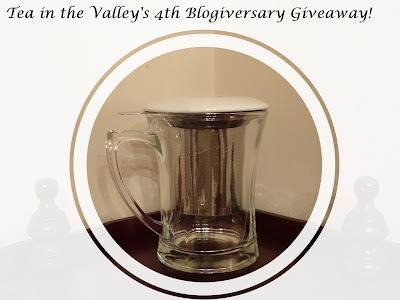 Your R.A. golden teacup made me swoon!Amazing!Congrats to the winner!Hugs! That's a beautiful RA teacup, all gold filigree and elegant. You'll enjoy sipping tea from it. Lots of other lovely gifts were under the tree for you, too. Beautiful teacups to add to your collections Margie. 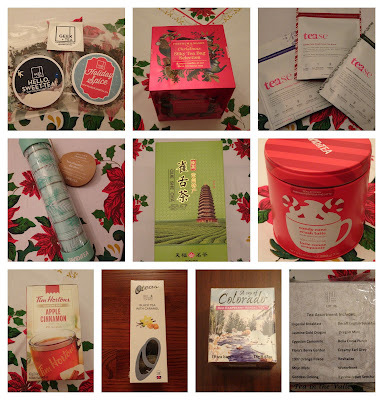 What a great haul of teas and awesome packaging. Enjoy! I know, it's such fun to try new teas, Margie! Life is too short to stick to the same flavor, right? Your new RA teacup is such a beauty, as is your yellow one, and your fun flamingo mug. Happy tea drinking! So much delight in a teacup! How I love your Royal Albert teacup, and what fun to try out all the different teas throughout the month! January is a perfect month to be the month for hot teas, as so much time is spent indoors being cozy! 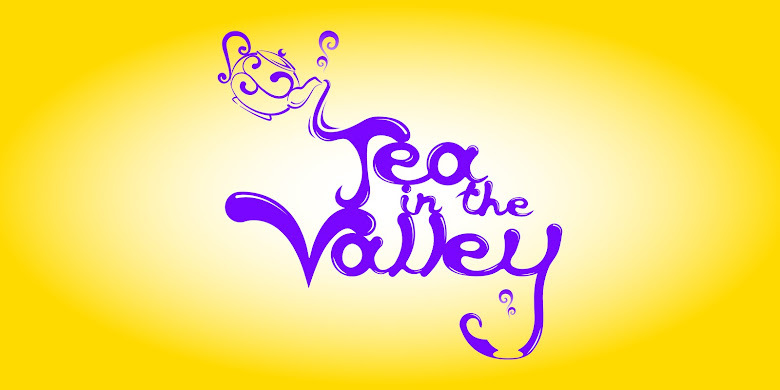 Have a blessed month of trying out all your new hot teas! You received some wonderful gifts Margie, everyone knows you well. Enjoy National Hot Tea Month! The earl grey is smoked and infused with vanilla and the English breakfast is infused with a touch of vanilla and oak - they are to die for with a little cream - what are you all drinking?